Our November December 2018 Newsletter and Fresh Harvest List are now available! 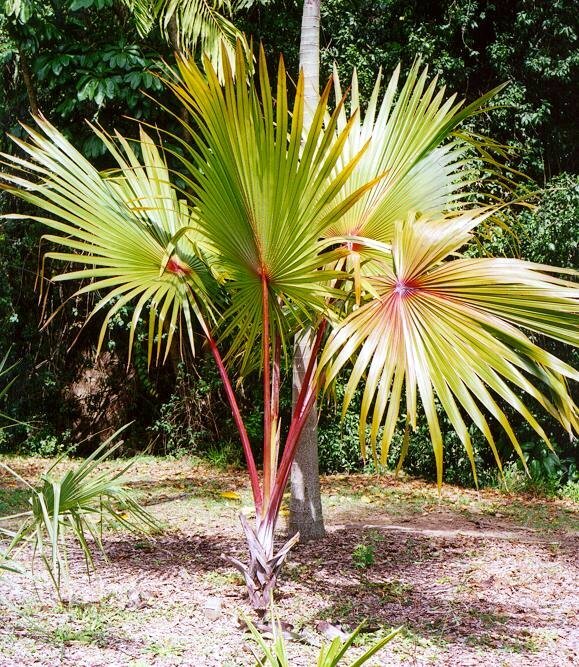 Click here to view the Newsletter and Specials, including Madagascan Island species. For orders and enquiries, contact us by phone or email. Orders can also be placed through our webstore. Make sure to visit our website regularly for specials, fresh harvest seed and weekly promotions. We look forward to assisting you with all your seed requirements! Our November/December Newsletter and Fresh Harvest List will be available next week - last one of the year! A perennial climbing vine native to China bearing 15 to 20 cm racemes of blue flowers in spring. Stems twine anticlockwise around trees and posts, supports should be solid to hold up the heavy, flower laden vines. 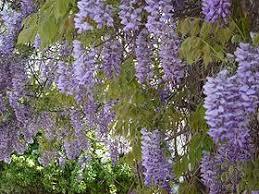 A long-lived plant, some known specimens are over 200 years old and the largest flowering plant in the world is a Wisteria sinensis vine covering one acre (4000m2) in California. A deciduous tree native to China and Vietnam, growing 5 to 8 m tall with a 3 m spread. 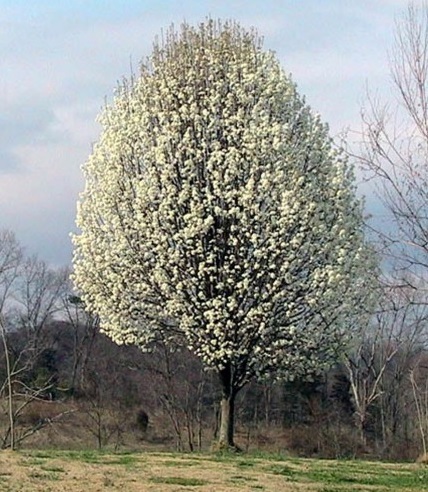 White flowers cover the tree in spring before the leaves regrow, followed by small woody inedible fruits. The autumn leaf colours range from yellow to orange, red, pink, purple and bronze. 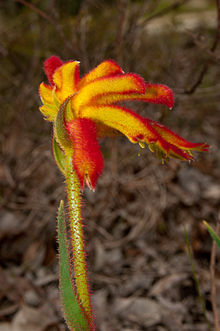 Occurring naturally only in south west Western Australia in a variety of habitats and soil types. 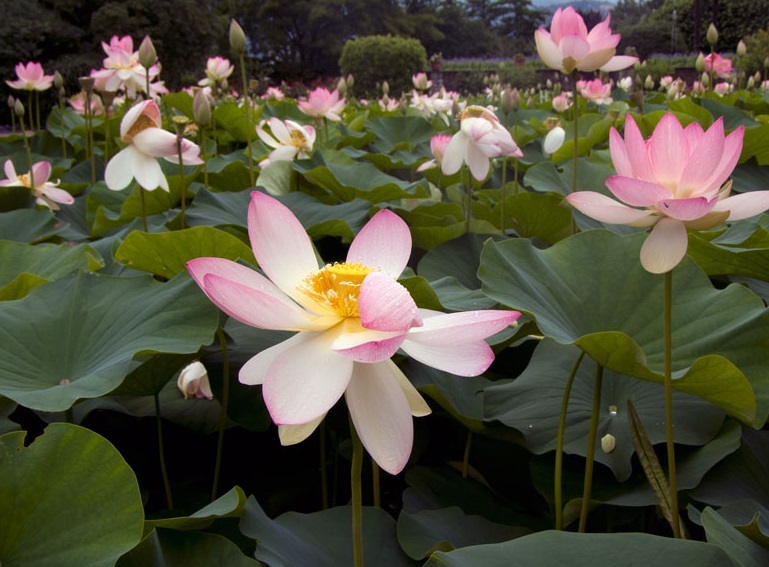 Flowers appear over spring and summer, pollinated by birds. Flower size, colour and height varies between species. Grows best in well-drained soil with well composted organic matter in a sunny position. 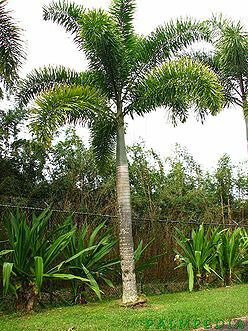 Latania lontaroides, Latania verschafeltii and Bismarckia nobilis: Fresh seed is available therefore please indicate your interest allowing us to offer firm. Prefers sunny, moist, well-drained position in warm temperate to subtropical climates. Agricultural/pastoral uses include provision of dense shade, drought fodder, supports honey production and the deep roots don’t impact on surrounding crops. Widely used as a street plant, also as an ornamental garden specimen. Flowers are bell shaped with a red/brown inner and whitish outer. Small tree originating from northern India. 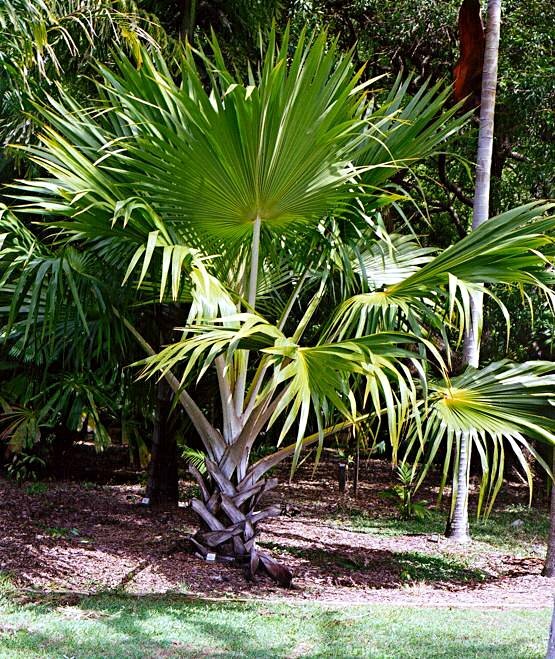 Fast growing, deciduous to 12 m, suitable to tropical and subtropical areas. Flowers once a years followed by hanging fruit, is a source of ben oil. Not frost tolerant. 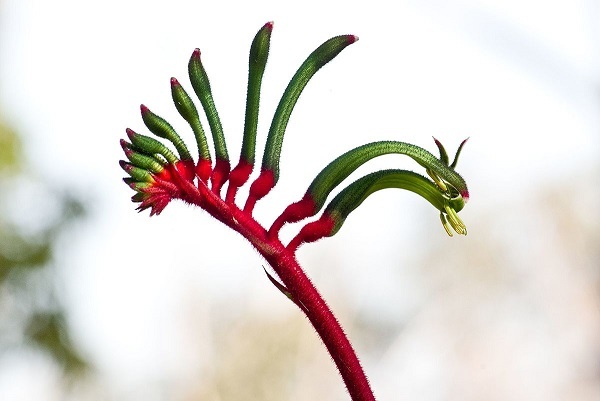 Native to south eastern Australia. Grows 1.5 to 6 m tall as a large, bushy shrub. White-pink flowers appear April to October. 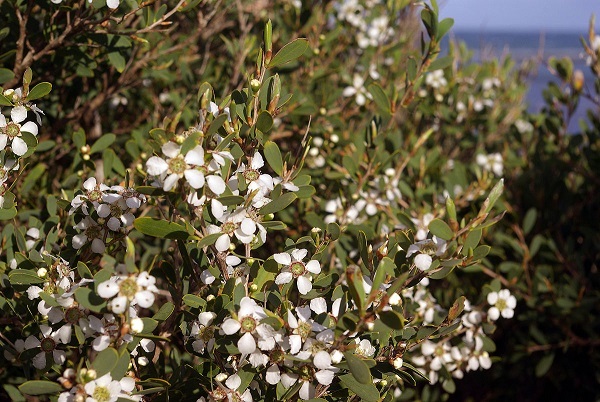 Very hardy, salt tolerant, used in coastal plantings, windbreaks and soil stabilization in sandy soils and rehabilitation projects. Native to Queensland. 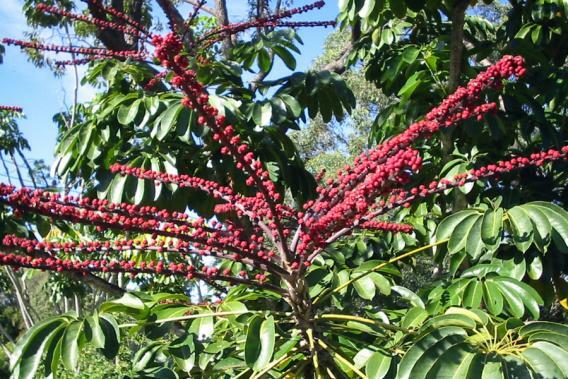 Grows up to 10 m tall with leaves 2 to 3 m long. White flowers followed by large orange/red fruit. The trunk is smooth grey/white and self-cleaning. 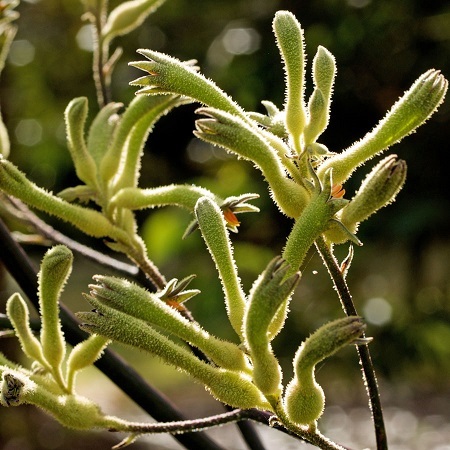 Interesting ornamental garden specimen and highly sought after around the world. Native to West Indies and Florida, USA. 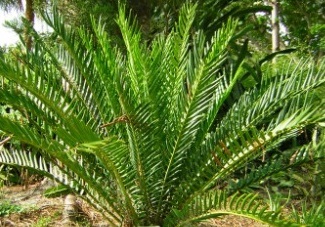 A low-growing, woody cycad, the trunk is often subterranean. 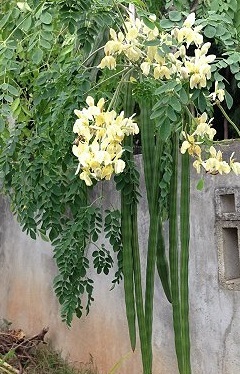 The leaves grow up to 120 cm long. 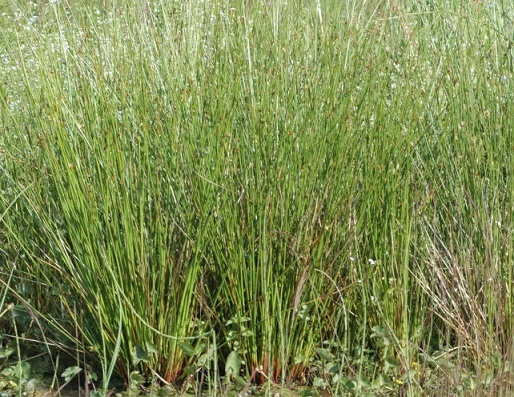 Grows in various habitats with well-drained sands or sandy loam soil in full sun to heavy shade. Dioceous – in late winter the brown male and female cones emerge for pollination. Orange seeds are released in late autumn.